Tenda Horse Products has been serving the performance horse industry for more than 45 years with a primary goal of developing and manufacturing products that promote and improve the overall health, soundness, performance, and well-being of equine athletes. 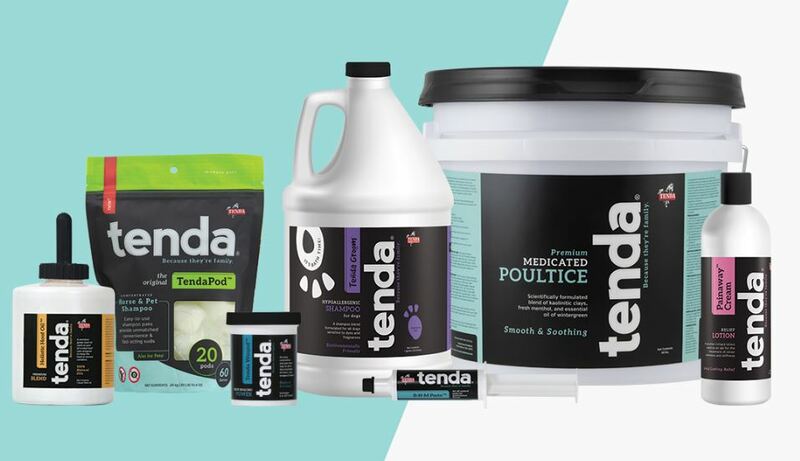 Tenda products include state-of-the-art wound care treatments, equine nutritional supplements, leg and muscle care therapies, healing salves, hoof care preparations, and topical commodities; along with shampoos, conditioners and grooming products for horses and dogs. Tenda products are in use at racetracks, show rings, training facilities and backyard barns across the country and around the world. For more information, visit TendaHorse.com or TendaHeal.com.